OPINION: When I turned 45, I was persuaded to get an eye check. For years I had always proclaimed, very proudly, that my vision was perfect – I was in complete denial that my eyesight was ageing, at pretty much the same rate as the rest of me. When my son pointed out that I could no longer see the text on my phone unless it was held at arms length, and my partner was required to read the crossword clues in bed, I relented and took myself off to a local opticians for a check. Sure enough, I needed glasses – not surprising, of course, but actually quite a life-changer for me as I am now no longer straining to read my screen, and end a day headache-free as my eyes don’t have to work overtime. The optician told me that in your 40s it is almost inevitable that your vision will change, and often quite rapidly – largely due to tired eye muscles no longer being able to adapt as quickly as they used to. Their testing was impressively thorough, and I have since been a huge advocate of a regular eye check, much as you might schedule yourself a check with the dentist, or get the WOF done on your car. Routine eye tests can be done at any registered opticians, and my understanding is that most of them will carry out a similar check to the one I had done. Naturally it includes a “visual acuity” test to see whether or not you need glasses, or whether your lenses need to be altered if you are already a glasses-wearer. But aside from assessing your vision, the optometrist will also examine the back of the eye with a special instrument to check that the blood vessels, optic nerve and retina look ok, test your visual fields to make sure you have the full range of eye movement and vision even at the peripheries, and will measure the pressure in your eye. Glaucoma – this common condition is caused by raised pressure inside the eye itself. This pressure gradually damages the optic nerve, leading to loss of vision. Initially the vision is only lost in the peripheries, so isn’t always very noticeable, but later on central vision can be impaired too and if not treated early is irreversible. By measuring the pressure in your eye, the optometrist can assess your risk of developing glaucoma, and if needed can refer you to a doctor for treatment. By lowering the pressure with simple eye drops, most cases of glaucoma can be very effectively managed, preserving your eyesight for as long as possible. Diabetic retinopathy – if diabetes is poorly controlled or undiagnosed, the blood vessels at the back of the eye can become very abnormal, and prone to bleeding. If this happens, sight can be permanently impaired or even lost completely. If you are a known diabetic, your doctor should automatically arrange a test for you every year or two to pick up any issues and manage them as soon as possible. For other people, diabetes can be a very “silent” undetected condition, and changes found at a routine eye check could be the first sign you are affected. If this happens, the optometrist will refer you back to your GP to make sure your diabetes is managed properly, lessening your risk of not only eye complications, but all the other health problems that can come with untreated diabetes. Cataracts – these are really common, especially in people over 65 and are a leading cause of blindness worldwide. Again, they may not present with very obvious symptoms, but can cause a gradual blurring, misting or clouding of your vision. They may make it hard to see in dim or very bright light. At an eye check, the optometrist will be able to look at your lens and see if there are any signs of cataracts forming. 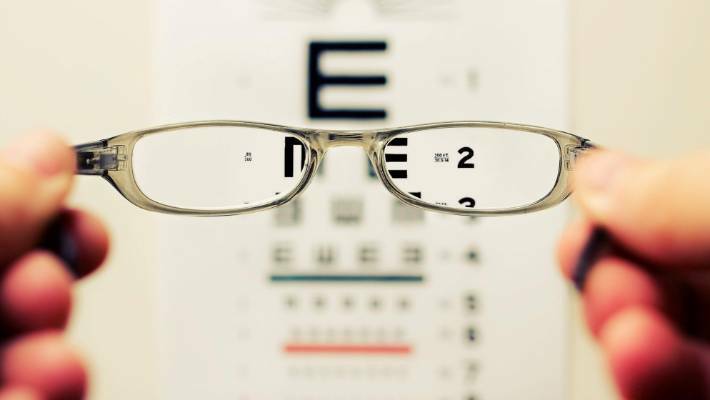 If so, it may be simply a case of using glasses initially to help improve your sight, and monitoring your vision with time – if things get worse, surgery is a great solution, often restoring sight back to almost normal again. High blood pressure – much like diabetes, many people will have high blood pressure and not know about it until it causes a complication such as a stroke or heart attack. If high blood pressure has been present for a long time, and isn’t effectively treated, it can damage the blood vessels at the back of the eye, leading to a risk of bleeding. An optometrist will be able to pick up these changes, and if present can refer you back to your doctor to get your blood pressure monitored and treated. For younger people, there is obviously much less chance of developing any of these conditions, however it is still important to get regular tests, especially if there are any signs of visual issues (for example, struggling to read the board at school, or squinting when looking at a screen or book). In the early years, if squints or “lazy eyes” go undetected, it can have a lasting impact on your childs vision. For older children, the teen years are a common age for becoming myopic or “near-sighted” which can impact hugely on their willingness and ability to engage with school work if not corrected with glasses. The advice around how often you should get yourself booked in for an eye test varies a little, but I think common sense should prevail – if you are over 60, or have known eye problems or symptoms, an annual test is recommended, but for anyone else in the 40-60 age range I think a check every two years is sufficient. For younger adults, every three years should be fine, unless there are new concerns, and in childhood I’d be getting at least one thorough test done on all little ones, and get it repeated when they hit teenage years to ensure things haven’t changed. Often eye tests can be subsidised for families on low incomes.